Harrysong left Nigeria for the United States a few days after he resolved his misunderstanding with Five Star Music. 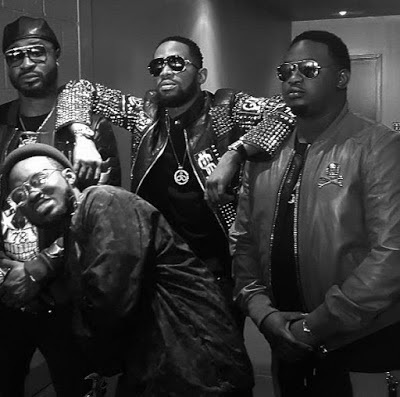 He's seen here on set of a music video with D'banj and Wande Coal directed by Patrick Elis. Guess something is in the works.